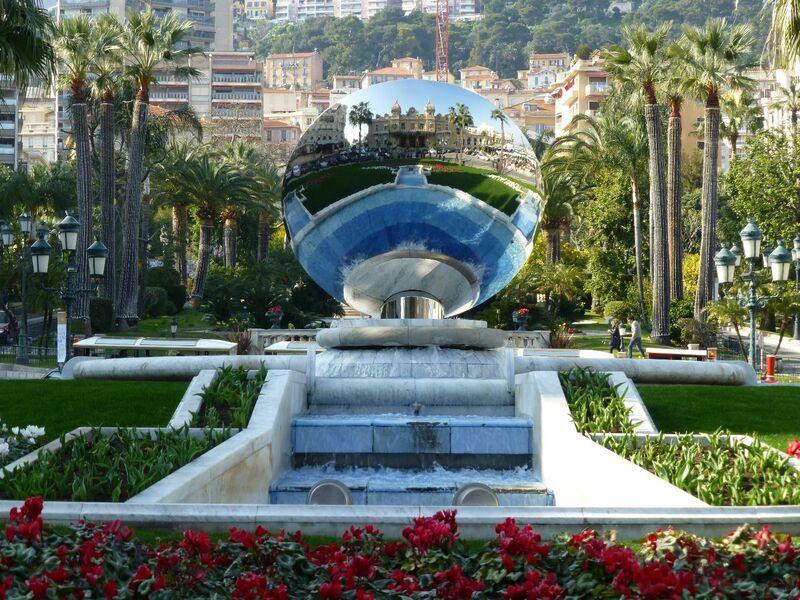 Monaco, the second smallest principality in the world, is less than an hour from Nice. We took a bus to Monaco, and much like our other bus trips around Nice this was crowded, meant we were standing the whole way, and ended with Sarah, Reubs and I getting off a stop early to prevent actually being sick. 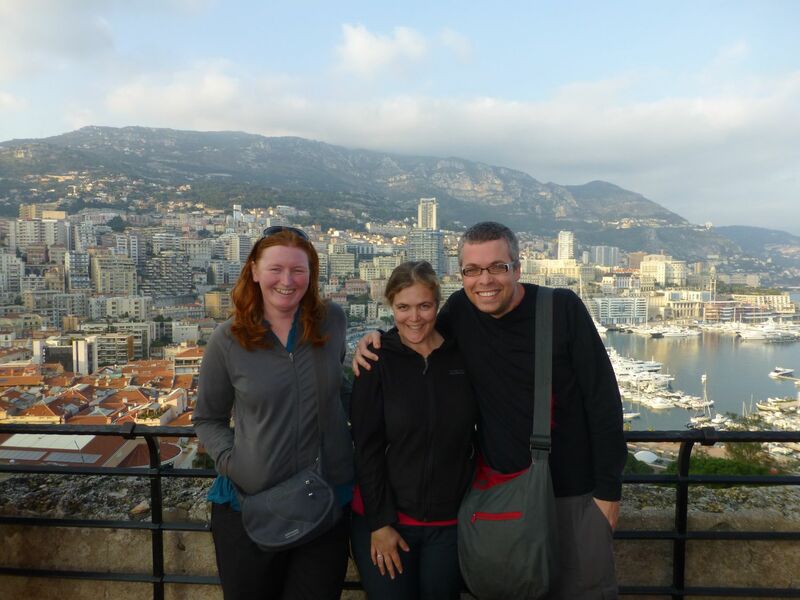 Despite this rather unpleasant start, we still had a fun day exploring Monaco. 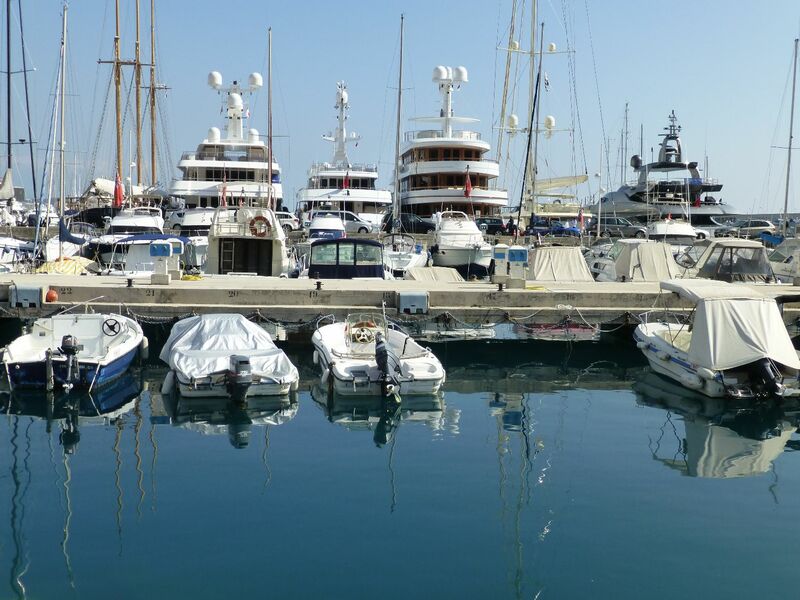 Our first stop wound up being by the docks, where we admired some of the super yachts – we were told that you can hire one for a week for 1 million Euros (plus tips) – just a little outside our budget! We wandered around the foreshore until we came to a beach where we had lunch – apparently in summer it costs just to walk on here, but since it was winter we could picnic and relax for free. 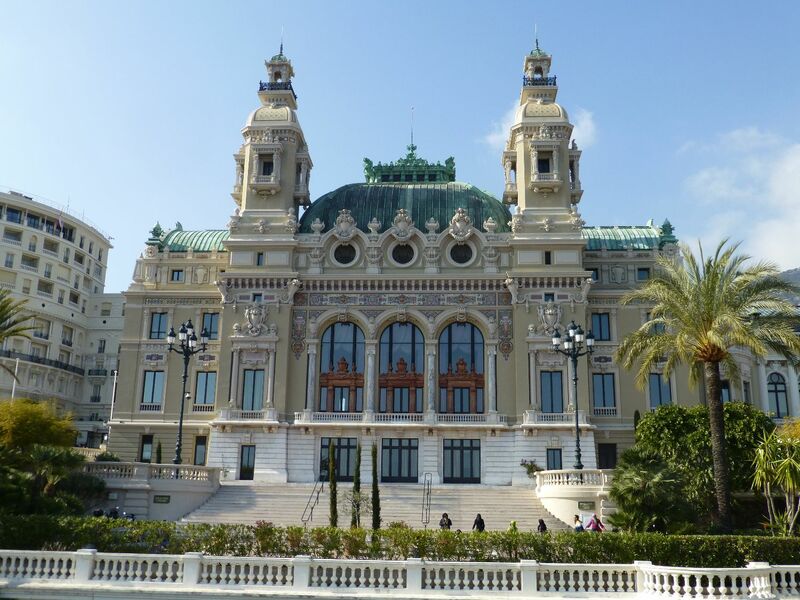 Our next stop was the famous Monte Carlo casino. We had a look through it – there are a few rooms open to the public but no photos allowed. (Also no wearing shorts – not a problem though as Reuben just zipped the bottom of his pants back on for this!) You can also pay to enter the room with the high rollers, but we didn’t do that. We finished our day in Monaco with a walk over to the Prince’s Palace, which is located on top of a hill and gives great views of Monaco. 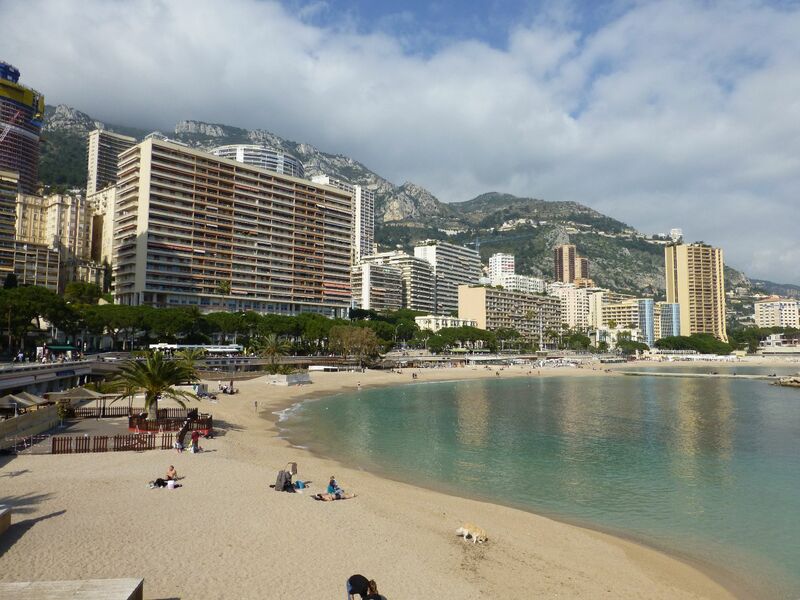 Monaco was an interesting visit – definitely a place for the super rich rather than the backpacking crowds, but still a fun day trip from Nice. Previous Post Carnaval in Nice! Great place – I think Bhen and I saw more Ferrari’s, Rolls Royces, Lamborghini’s etc…(the list went on) in one day in Monaco then we have seen ever in NZ. Fun place for a day trip. I continue to watch you postings in awe, so many places you have seen, so many amazing memories. Have fun, stay safe. 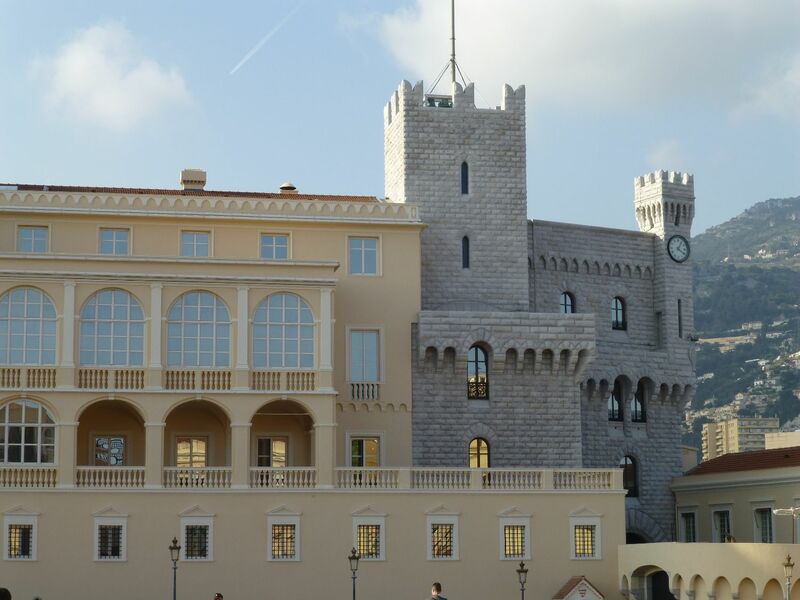 Thanks for the reconnaissance… somehow I don’t think I will be adding Monaco to my “must see” list. A bit too much conspicuous consumption for me.